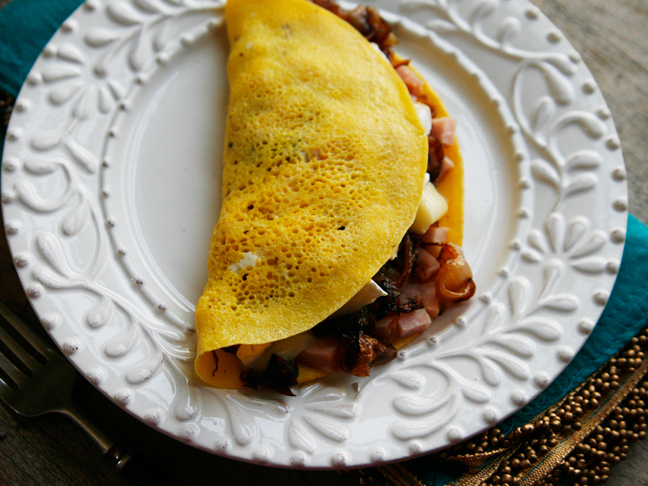 Oh, omelettes, how we love your eggy goodness, especially when stuffed with sweet caramelized onions, hearty ham, and creamy brie cheese. 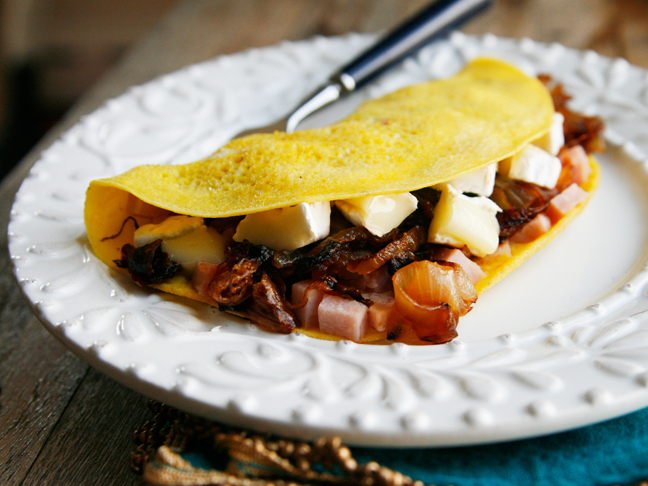 Because really, what's better than a stuffed, decadent caramelized onion omelette? Step 1: Heat the olive oil in a skillet over medium heat. 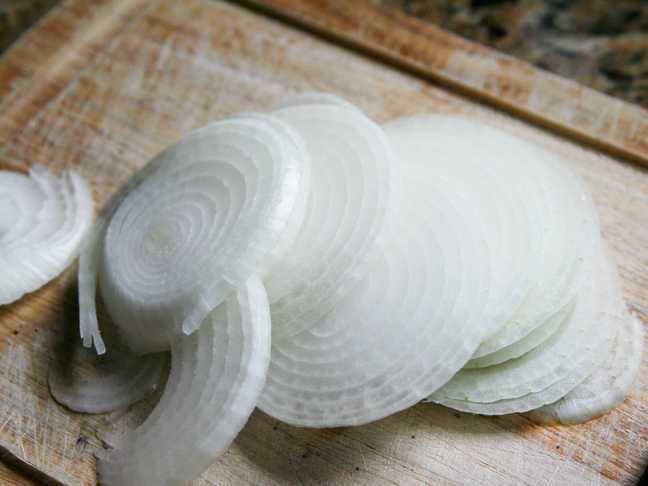 Add the onions and cook, stirring once or twice, until beginning to brown---about 5-10 minutes. Sprinkle with salt and sugar and stir well. Cover, reduce heat to low, and cook for 20-30 minutes until golden brown. Be sure to stir them every few minutes to ensure the onions don't burn. Step 2: In a small mixing bowl, whisk the eggs with desired amount salt and pepper until well blended. Meanwhile, heat an 8-inch nonstick skillet over medium-low heat until hot. Spray with cooking oil spray and add 1/4 of the egg mixture. Cook, without disturbing or stirring, until just set---about 4-5 minutes. Step 3: Now it's time to fill the omelet. 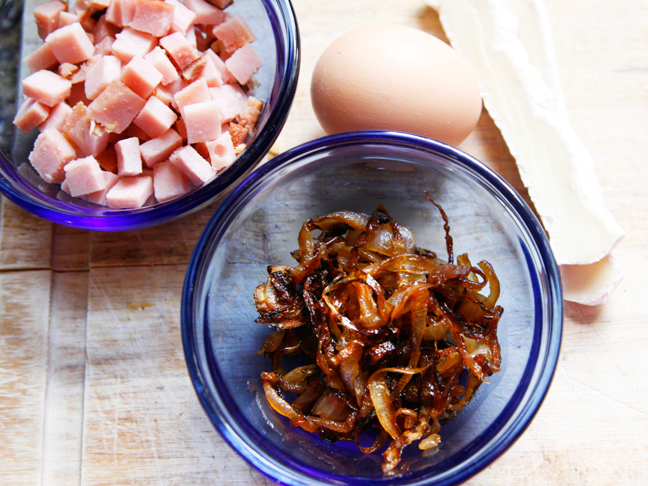 Pile 1/4 of the ham, 1/4 of the onions, and 1/4 of the brie on one half of the eggs and fold the other half over. 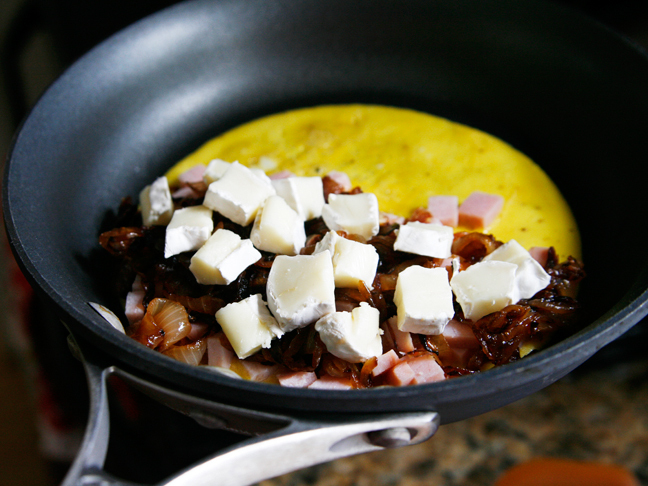 Cover and cook for an additional 2-3 minutes, until the cheese is softened. Repeat with remaining ingredients until all have been used.